December 3rd in Wordpress Plugins by Wordpress Jedi . As your website gets more popular, you will end up with unwanted comments and trackbacks. You can always disable them per post or in bulk using a SQL query. 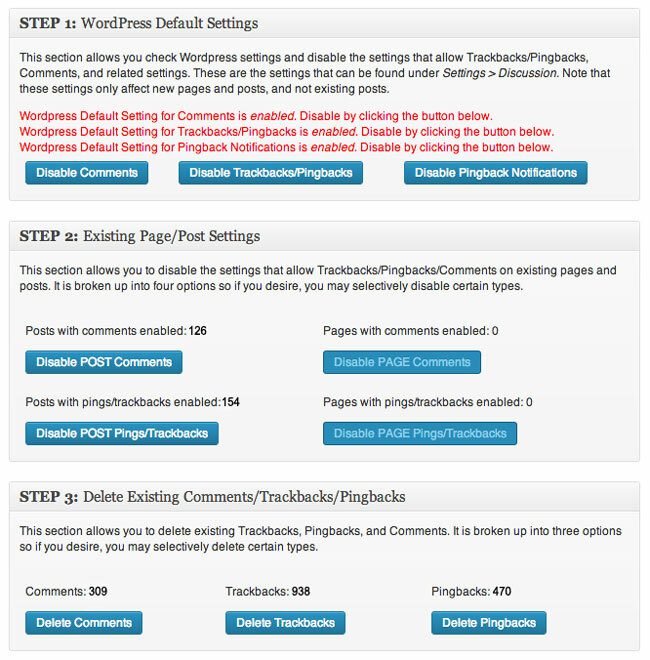 Simple Trackback Disabler for WordPress also helps. It lets you clean and manage unwanted trackbacks even if you don’t feel confident manipulating your database. The plugin allows you to disable comments and trackbacks in bulk. It all takes a click to get done. You will be able to see comments, trackbacks, and pingback totals before deleting them. The plugin is available as a free download.